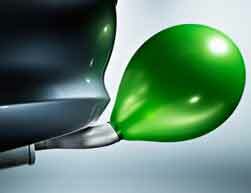 , Northern NSW and Victoria, will be hurt the most by a three year cap on a Government grant to assist consumers converting from more expensive petrol and diesel to the cleaner and cheaper green transition alternative fuel LPG (Autogas). The Prime Minister announced the cap on the grants today as part of a package of spending cuts and a levy to help pay for the recovery and reconstruction of the many flood-hit towns and cities. The cap on the LPG Vehicle Scheme - a cut of $96 million over three years – will be a strong deterrent for consumers who want to opt for the alternative fuel that is up to 50% cheaper at the bowser and emits up to 13% less harmful carbon emissions than petrol or diesel. Currently those families who convert their cars to LPG are eligible for a $1500 rebate, reducing to $1250 from 1 July, from the Federal Government. “Whilst we support the Government’s endeavours to help the victims of the flood, many of those working families in Queensland, Victoria and elsewhere rely on LPG as a cleaner, greener alternative transport fuel. The cap on the LPG Vehicle Scheme will simply leave future motorists looking for relief from rising fuel costs stranded when they need it most , the Chief Executive Officer of the peak industry group, LPG Australia, Mr Michael Carmody said today. Whilst this cap remains in place, the Government must definitely not bring in a tax on LPG that will further hurt these motorists. The proposed tax on LPG has been delayed once but now the Government must defer again indefinitely, or at least until the LPG sector can get back on its feet and provide 10% of the alternative fuel market place - a target that can be achieved through industry innovation, public awareness and ongoing Government support. Mr Carmody said the sector was still endeavouring to determine from the Government, the details of a 'cap' on the number of conversion grants allowed but warned any move to limit the success of this program will have a negative impact on thousands of Australians. “Of the 700,000 motorists choosing LPG over petrol or diesel, the greatest demographic tends to be working families, and small businesses from regional and rural areas. We know this Government supports consumers who are doing it tough. The cost of petrol and ethanol is moving through the roof. LPG is a cost effective, cleaner green transition fuel that should have its take up encouraged not discouraged. We look forward to working with the Government to achieve the best outcome for motorists, regional Australia, the environment and taxpayers,” Mr Carmody said.